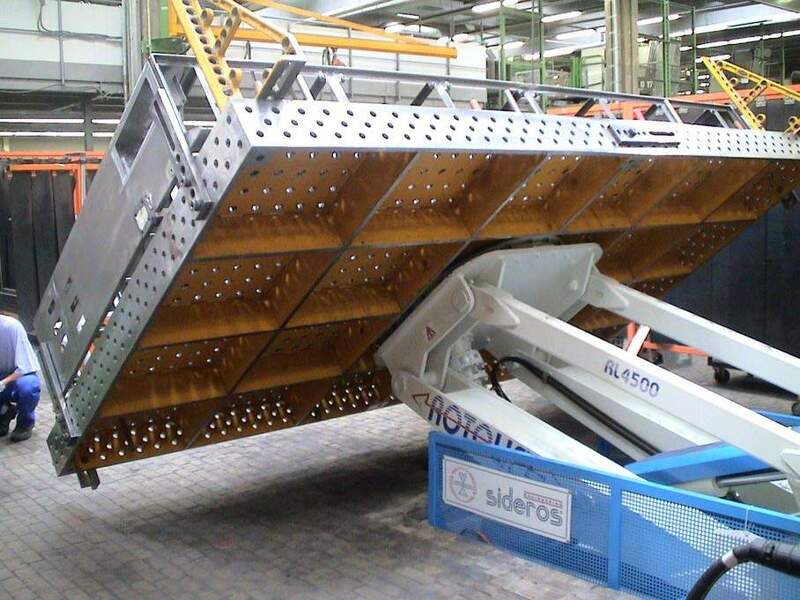 The Positioners and Handlers in the Sideros Engineering range are designed for welding and assembling operations. 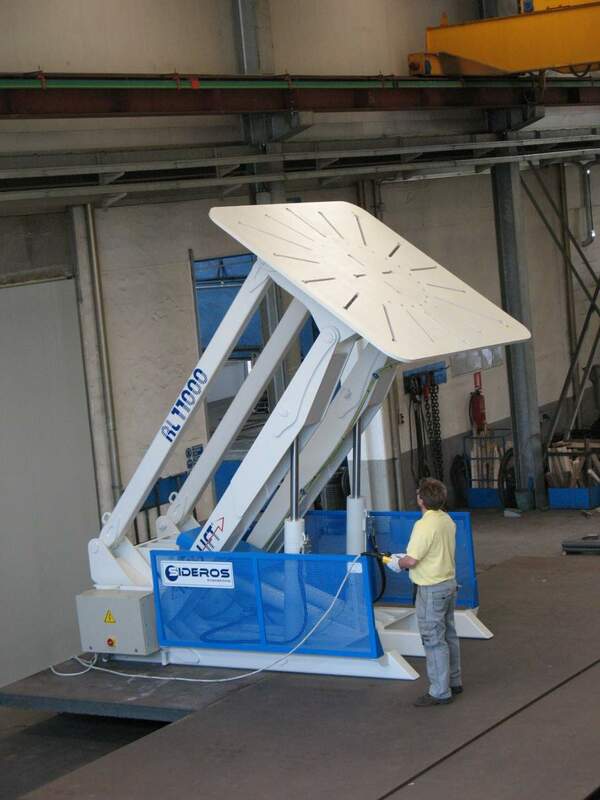 Their functional features considerably reduce the moving of the workpiece and therefore the use of traditional lifting systems. They enable the operator to work in total safety and comfort, thus improving his/her performance and ensuring a greater speed for all operations. 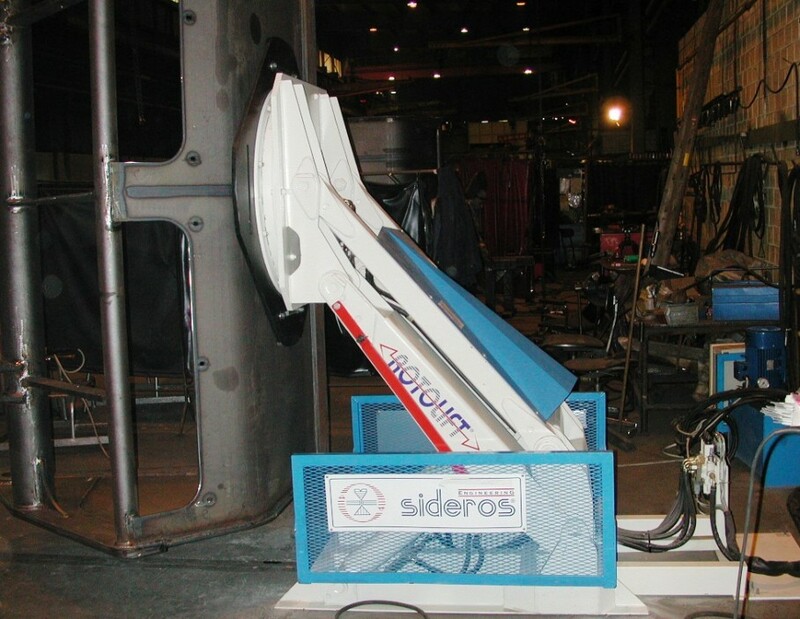 The Sideros Rotolift is a three axis hydraulic welding positioner, created to make the process of welding and assembly operations easier. 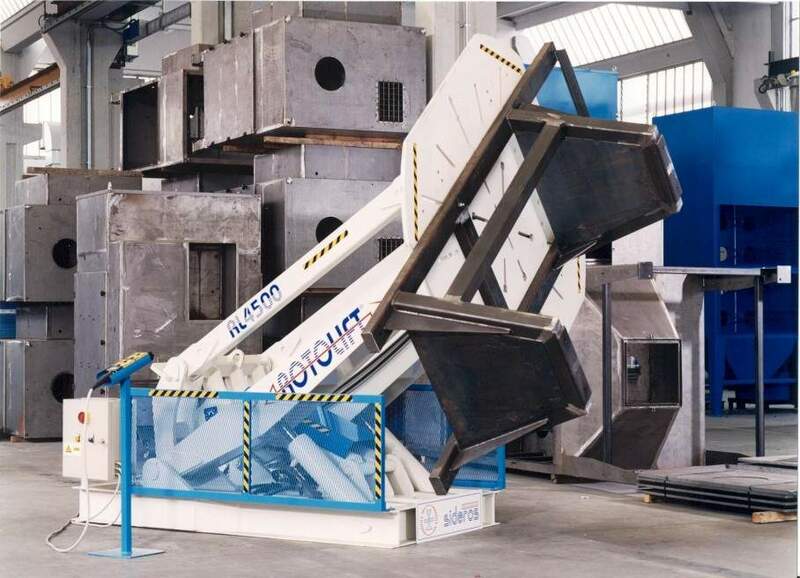 Since the machine has the ability to tilt, rotate, lower and lift, it creates an ergonomic and safe way for the operator to work. 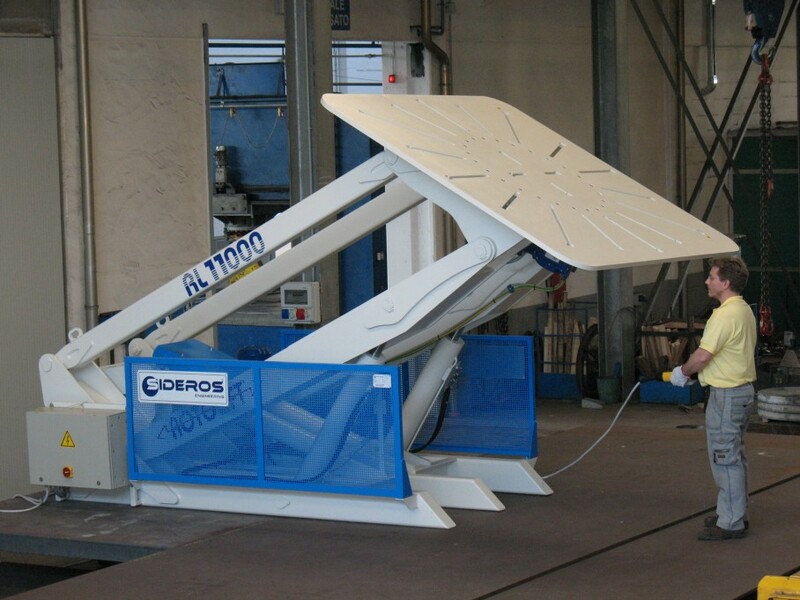 SIDEROS is now offering a ROTOLIFT with 135 degree inclination. 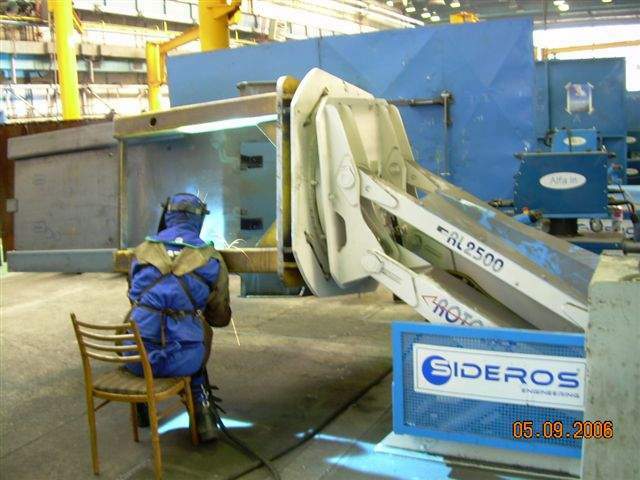 Sideros Head and Tailstock Positioners can be used for a variety of parts and weldments. Typically a Head & Tailstock Welding Positioner is used for long rectangular shapes that must be supported from both ends. 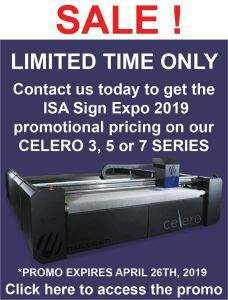 Optional powered and manual mobile sub bases can be provided on rails for varying part lengths allowing different length weldments to be positioned with one station. 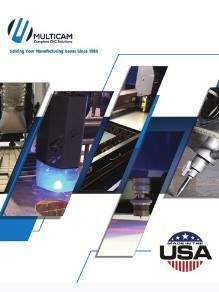 With a large rotation speed range, all welding processes can be accommodated, such as MIG, TIG, SAW and laser welding. 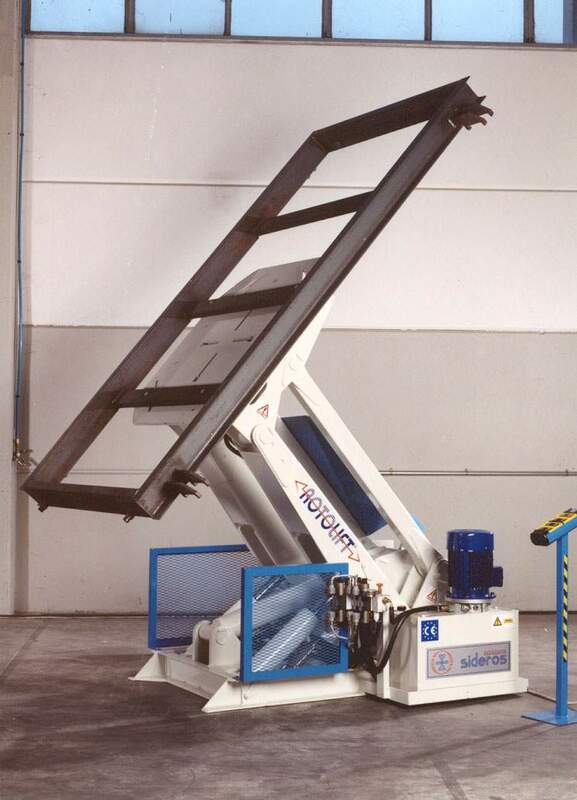 A typical configuration consists of a driven Headstock Positioner with an Idler Tailstock. Dual Synchronized Headstocks can be used for exceptionally long parts or parts that have torsion concerns. Robotic versions to manual applications can be accommodated depending on your specific needs. Welders often find it extremely difficult to position themselves appropriately for welding large objects and can result in body strain. Dangerous accidents can occur when climbing on ladders or standing on lifts. To create a safe working environment, business owners should take every opportunity to make operations safer for their workers while providing an ergonomically friendly atmosphere. 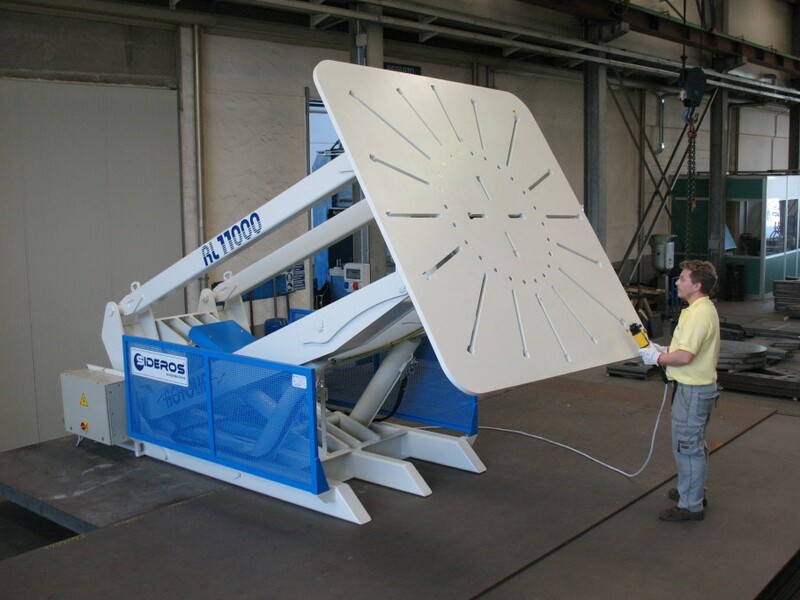 Welding positioners allow the object being welded to be lifted, tilted, and/or rotated for an easy welding application for the operator. 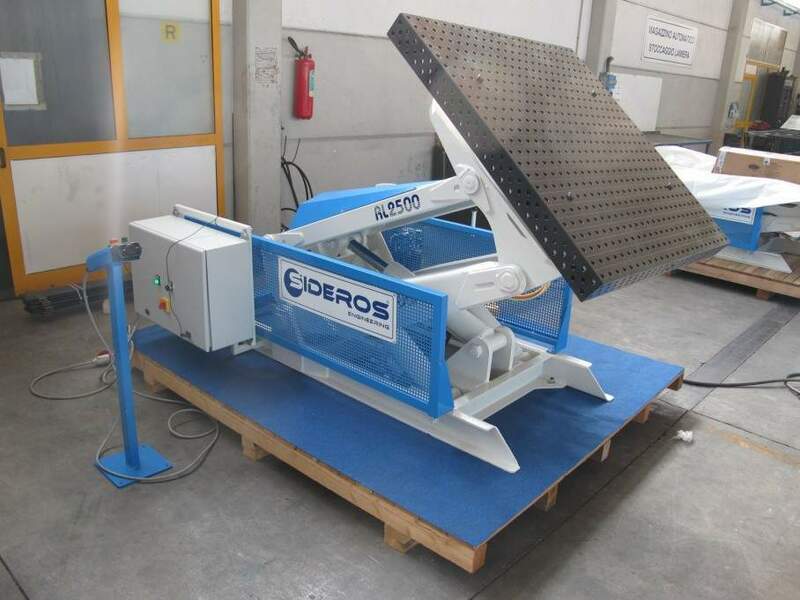 Sideros Engineering offers all of the movements which mean it can move on all X, Y, and Z-Axis. The ‘tilt’ movement brings the material to an incline where it would normally be at 0 degrees if lying on the floor. This product is capable of rotating the object as far as 135 degrees, which very few 3-Axis positioners can achieve. All of these characteristics guarantee that the operating personnel can work in total comfort.